Stylish finishes complete this 3 bed, 2. 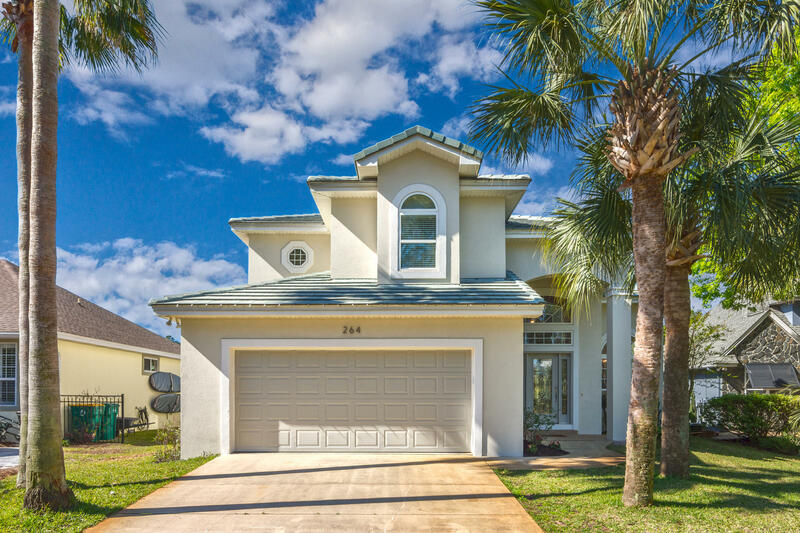 5 bath lakefront home in the gated community of emerald lakes. With an open concept, this immaculate home invites comfort. Sliding doors open to the covered patio and screened pool from the breakfast nook and living room. Upgraded details have been quality crafted throughout this home. The kitchen features granite and stainless steel appliances. The downstairs master with ensuite bathroom features a double vanity, custom tiled shower, a garden tub and a walk in closet. The master bedroom has access to the screened in pool through a double sliding door. The upstairs loft is perfect for an office, children's play area or sitting room retreat. An additional 2 bedrooms and a shared bath upstairs complete this home. For more information or make an appointment to see property ID 819330.